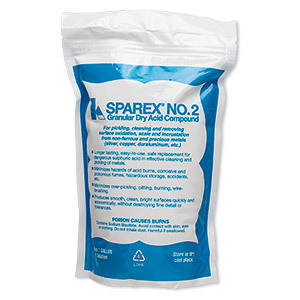 Pickle compound, Sparex®, sodium acid sulfate / nitre cake / sodium hydrogen sulfate, for non-ferrous metals. Sold per 2-1/2 pound pkg. 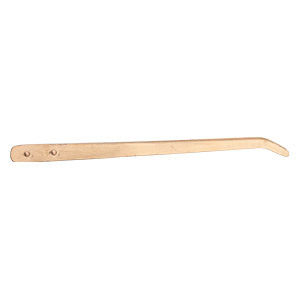 Tongs, copper, 8-3/4 inch curved. Sold individually. 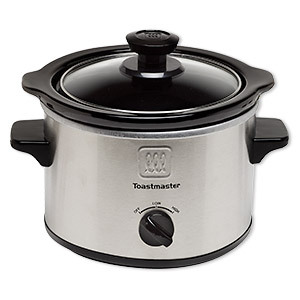 Pickle pot, Toastmaster®, stoneware and steel, black, 7 inches, 1.5-quart capacity. Sold individually.